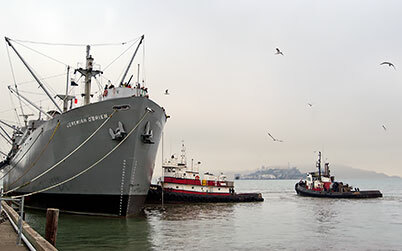 SS Jeremiah O'Brien is the only operative unaltered survivor of the many Liberty ships built during World War II as an emergency response to a critical shortage of maritime cargo ships. She participated in the D-Day invasion of France in 1944. 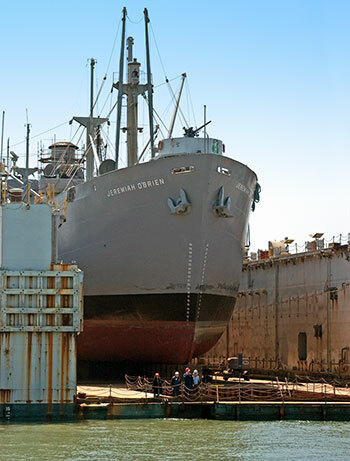 SS Jeremiah O'Brien is open to the public at Pier 45 and for cruises on the San Francisco Bay, Suisun Bay and Delta. 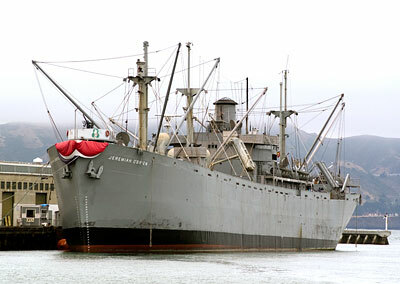 Visit the official SS Jeremiah O'Brien Web Site for more information. 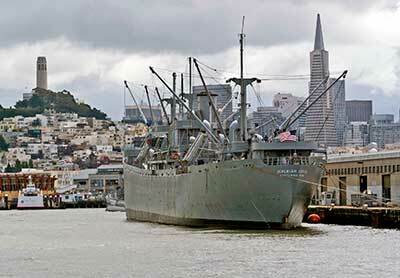 USS Pampanito submarine is Jeremiah's neighbor at Pier 45.